Top BJP leaders, including Prime Minister Narendra Modi and party president Amit Shah, Thursday greeted party veteran L K Advani on his 91st birthday, recalling his contribution to national politics, and also in building the party and propagating its ideology. The party veteran's impact on Indian politics is immense, the prime minister said. "Advani ji's contribution towards India's development is monumental. His ministerial tenures are applauded for futuristic decision making and people-friendly policies. His wisdom is admired across the political spectrum," Modi wrote on Twitter. He credited Advani, the longest serving party president and also deputy prime minister in the Atal Bihari Vajpayee government, for "selflessly and diligently" building the BJP and "wonderfully" mentoring its workers. In his tweets, Shah said Advani strengthened the BJP's organisation and inspired its workers while also infusing discipline into them with his lifelong hard work. "In taking our ideology to the masses from the Jana Sangh to the BJP and in setting India on the path to progress as a skilled politician in Parliament, Advani ji's contribution to Indian politics is unparalleled," he said. Jana Sangh, founded in 1951, was the precursor to the Bharatiya Janata Party, which was launched in 1980. Home Minister and former BJP president Rajnath Singh described Advani as a stalwart of Indian politics. "He has nurtured the BJP from its inception. Advani ji is an inspiration to millions of party karyakartas (workers). May he be blessed with a good health and long life," Singh said. 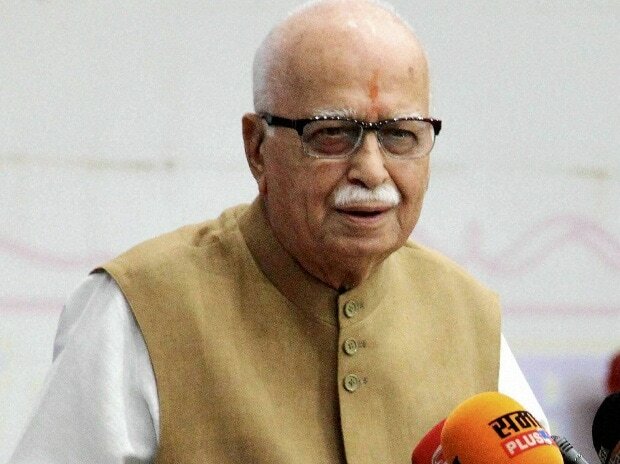 Credited for crafting the BJP's rise to a pre-eminent position in late 80s and 90s after it had hit a low of two Lok Sabha seats in 1984 Lok Sabha polls, Advani has been sidelined from the party's affairs and was made a member of 'margdarshak mandal' (group of mentors) in 2014 after it came to power. The group has, incidentally, never met since its inception.